Let's keep the soul going. Kanye West has always been known for having an ear for samples, an ear for being able to capture the perfect part of an obscure song, flipping it, and turning it into a full length banger. Although I have no idea where the sample used in this jam comes from, it sounds undeniably right. This is the original version of the track that was later known as "Homecoming" (featuring Chris Martin) found on the Graduation album, but lyrics aside, it's hard to find even a glancing similarity between the two. The looped sample, the somewhat suspect sound quality, the passion with which the young Kanye delivers his lines, all of it takes me back to when I first heard this song-2003, even before College Dropout dropped. Back then my buddy gave me a cd full of tracks by an artist named Kanye West, something which sounds incredibly dated, even though it was only eight years ago. 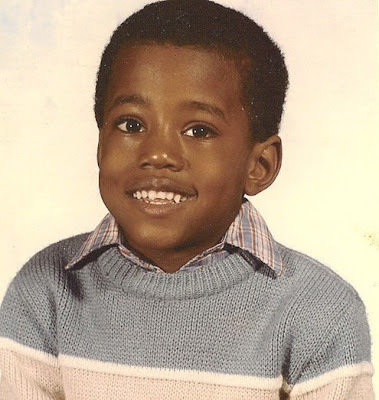 Before Kanye became the international superstar he is today, he was just a young producer who had dreams of becoming a rapper, and a magic touch for making tracks like this-a true jamandahalf which combines storytelling, a twist ending, and most especially, a heaping serving of a little something called soul.